Customizable viewfinders and heads-up-displays (HUD) right on your editing suite. If targetting your audience is part of your job description, then get ready to add a special ingredient to your editing magic. 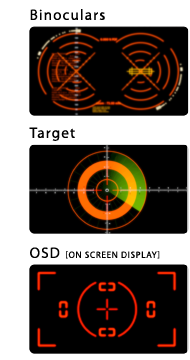 SUGARfx Viewfinder HUD [Heads Up Display] FxPack comes in a nice package of three different filters and 51 cool presets ready to add high-tech candy to your projects. 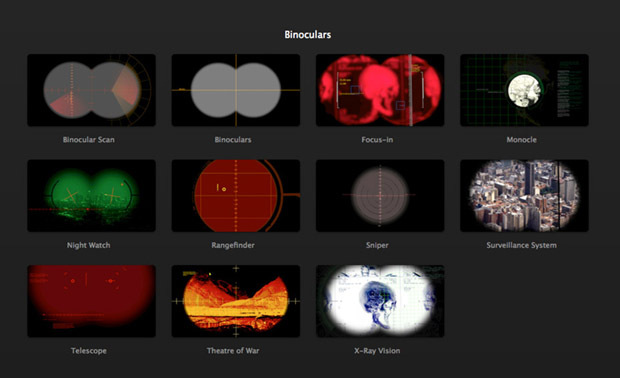 Use the Binoculars plug-in to simulate common or unusual binocular viewfinders. Or the Target filter to create outstanding graphic simulations or just to point out the importance of your message. And the Viewfinder OSD [On Screen Display] filter to simulate a familiar video or still camera viewfinder right on your canvas. All of these come with customizing options that provide the flexibility to design your own. All these effects offer expandable capabilities that go far beyond the usual still image overlays, and includes 50+ presets that you can start using right away! Each of these filters come loaded with options and the possibility of create combinations to help you make your own heads up display or Viewfinder look as complex, or as simple as you want. If you have installed FxFactory, you should be able to download and activate SUGARfx Viewfinder right from the FxFactory interface. 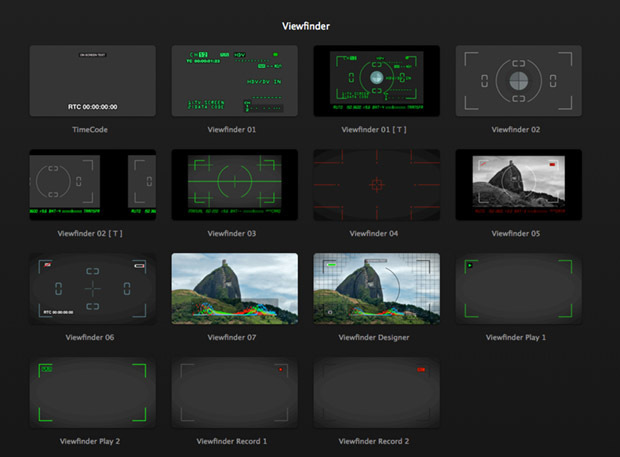 Viewfinder will be available in all of the host applications, including Final Cut Pro X and Adobe Premiere Pro. The Presets are availablein your editing application for each plugin, and if you use Final Cut Pro X, you can find them in the Effects browser, ready to be used or tweak them away to create your own! Also include auto animated features!